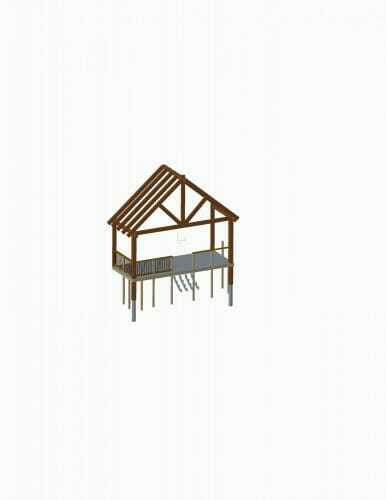 I’m building a timber frame porch. The width expands 20′ and I have two 4x8x10 oak timbers to be jointed. Can I use the King post with webs and finials to support a the roof? I have attached a rough sketch. Your design looks fine. You will need to take it to a local structural engineer who can size the beams and determine the forces in the truss for you using local conditions like wind, snow and seismic. Once those forces are determined, you will need to design the joinery accordingly to resist any spreading forces or lateral (wind) loads. Most likely, you will need to add some diagonal bracing in the corners to resist wind.